fathom Impact Travel - A Cruise Impacting You Even More Than the Communities You Help. Our time with fathom was, well and truly, a tremendous experience...or, better, experiences. while planting black mangrove trees. Background: Why the Dominican Republic? I have to admit I didn't really know much about the Dominican Republic before I arrived other than it is terribly poor, is a place some go for really cheap all-inclusive vacations gated off from the reality of the country and, of course, is the home of the Disneyland-eque "created" Punta Cana. In short, I ignorantly wrote off the country as just another Caribbean destination like most every other one. Alas, this is why one must travel! The Dominican Republic is actually filled with culture, charming people, a truly diverse population, and a tremendous number of things to do from the typical beach activities, to more adventurous ones to significant cultural experiences. But while all that is good, there is a lot of poverty and very basic needs that are even more striking...if you open your eyes, let your hands get dirty and allow your heart to open up beyond the pain to enjoy the people and enrich your soul. And because of all of those factors, there are a number of NGOs (Non-Governmental Organizations) that operate social impact programs in "The D.R." (as you may hear it referred to). Hence, the programs you are going to participate in are not newly created, cruise line-eque, tours, but legitimate socially and economically important programs that have existed, been expanded or developed by the NGOs and fathom working in close partnerships. Part of your cruise fare will be utilized to assist in underwriting the cost of the various social impact programs, so even before you arrive in the Dominican Republic, and regardless of whether you personally engage in any of the programs, you will be making a difference! Also, there are a number of different programs that will be available for you to chose from and they may well be the same or different from what I will be describing. What will be consistent is that the people from fathom, the NGOs and the locals working with you are warm, friendly and, most importantly, passionate about what they are doing. The Dominican Republic has recently undertaken a significant effort not only to protect, but to restore, its natural resources; rehabilitating areas that have suffered from deforestation (from cattle grazing and farming...including numerous areas where sugar cane used to be important), but also encroachment by the ever increasing population. Our project was focused on the latter. With my marine biology background I truly appreciated the "elegance" of the Mangrove Solution. Mature mangroves do many things including supporting a complex environment that will help clean the waters and, with their tangled water-loving roots, help establish marine wildlife (fish, crabs, plants, etc. ); transforming the barren creek into a productive and beautiful environment. But...and this is the cool part...established mangroves are pretty much indestructible and are impenetrable. So the squatters, who could easily cut or burn the previous present grasses to put up new shacks in a continuing encroachment into the park, will be faced with a natural fence that, even if cut down, will have roots and stalks quickly regrowing right through their dirt floors...if penetrating the tangle of limbs and leaves didn't frustrate them; making alternative locations outside of the park more attractive. the work...truly making it "social" while having a real "impact"
We dug (and sunk) into the muck with old shovels and big smiles, quickly accomplishing our task with the assistance of some very friendly and helpful Ministry of the Environment workers. (Yes, gloves and shovels were provided...and getting muddy was pretty much unavoidable.) As was the case in each of the social impact programs, you realize this is not a "feel good, make work" program, but truly helpful. Here, if two workers were assigned to plant 125 trees, working at the expected slow rate, it might have taken them 3-4 days. Our group of 10 plus the Ministry assistants accomplished the same thing in about two hours; quickly freeing up the workers and allowing for the D.R. 's and NGO's limited financial resources to be used for other needed projects. After our work was done we headed to a small nursery where we sorted plants and assisted in making potting bags for new plantings. Not all of the fathom projects are physically challenging. While in this forested park we quickly explored two caves that are very popular with cave scuba divers and noticed horseback riding, hiking and bird watching were also available (and are some things you could do in your free time) followed by an absolutely delicious Dominican cuisine lunch of rice with pork, ocra, plantains and avocado in a vinaigrette. We traveled a short distance from the port up a narrow unpaved road to a small village consisting of 13 houses and a couple of colmado - or grocery shops - to teach English to some of the families. (Note: On your fathom cruise you will have a pre-program workshop where both some basic Spanish and how to teach English with the provided materials will be taught.) Some of the locals met us in the community center (a former restaurant) where we introduced ourselves and engaged in some "get to know each other" activities switching between English and Spanish, followed by a walk through the village. It was a blast! Fortunately I know enough Spanish to fake it (and fathom gives you a Spanish 101 card on the back of your name tag) and I also know teenage boys and how they might try to cheat. And, of course, I could tell Caren to stop cheating by telling them the answers! Believe it or not, the boys were charming, fully engaged, and not only had fun, they actually learned some English. If you don't believe it, Caren gave my daughter her telephone number, invited her to come back and stay with her and asked me if I could contact her on What's App. You can make a difference in a very short period of time...and Caren, her son and his friend made a lasting difference on me and my daughter too! The head of this program is a Dominican man, who can only be considered an angel, if not more. He is working with Wine to Water (another NGO whose founder was a CNN Top Ten Hero in 2009) to create water filters out of clay, sawdust and silver that filters out all parasites and 99.99% of bacteria in a small factory about an hour or so from Puerto Plata. and emptied the kiln of previously fired products (for us, roofing tiles). The fifth activity was just fun, using a potter's wheel to make a pot...or at least trying to. Again, this is not a "make work" program (though I am sure using the hydraulic press probably is, but is also essentially for you to understand the process). If one person is cleaning, writing down each filter's number and packing them, it would be very time consuming. With our group, we had one person cleaning, a second writing down the filter numbers, a third making boxes, a fourth writing the numbers on the the box and the worker packing the boxes. (We rotated so everyone did everything.) The same concept with emptying the kiln and sifting the sawdust. 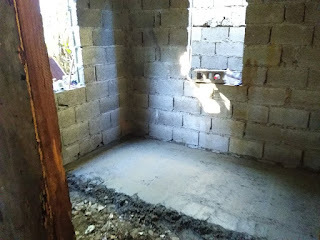 Another serious problem in the Dominican Republic is the lack of flooring in homes. Many of the shanty houses have dirt floors that have water rise through them and which get soaked during rains and flooding, with no way for them to dry out or be cleaned. This leads to mosquitoes, pests and overall unsanitary conditions...and thus otherwise avoidable illnesses. Note:This house is not under construction; this is how it has been lived in for years. 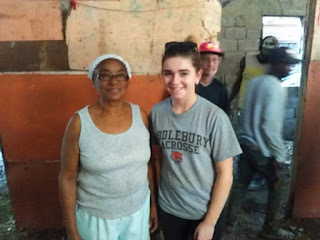 We traveled to a small village in Puerto Plata (where one NGO employee proudly said is her hometown) to assist in installing concrete floors in the small home of a wonderful older woman. Her neighbor was also an elderly woman who was so excited that her friend was finally also getting a concrete floor that insisted that her water be used to make the concrete. So before we even started our hearts were touched. Working with an NGO and a local contractor, this is clearly a project of "many hands make light work" though it was a good workout! A pile of sand and bags of cement were already on site and then were instructed how to measure and mix them to make concrete. With a wheelbarrow too large to fit in this small house, there was a "bucket brigade" bringing the concrete into the house while others continued to make large batches of it, supplying the contractor who did the actual floor installation. Unfortunately our time did not allow for us to see the final product, but it was a great team-building project and left as with heavy arms and a full heart. Why Engage In Social Impact on a Cruise Ship Rather Than on Land or Independently? There are three very good reasons to sail with fathom Impact Travel rather than engaging in a purely land experience. First, the quality of your accommodations will be superior on the fathom's Adonia. For this testing of the social impact programs, we were put up at the all inclusive Lifestyles Holiday Village with VIP status. It is a large gated tourist enclave which is rated four stars on TripAdvisor (my favorite source for wildly inaccurate travel information). Fortunately, I was not there for, and didn't really care about, my accommodations. That said, aside from the rooms being extremely basic (ex. my room had huge cracks in the bathroom tiles and a hanging shoe bag to put my folded clothes while my daughter's ceiling leaked as did her tub and she had little hot water), the food was poor and extremely limited, getting into any of the VIP restaurants was a challenge, the liquor was watered down, the pool water was hazy, the internet was extremely limited and slow, etc., etc., etc. Remember this is a TripAdvisor Four Star property! fathom also explained to me that the new cruise port will have many activities, from a large pool, shops, lounges, etc., as well as a huge outdoor movie screen (you will even be able to lounge in the pool and watch movies), the port area only being available to fathom guests in the evenings. Thus you will have both a cruise and resort experience; another "bonus". Second, you will be safe. While there are many wonderful people and I never felt the least bit unsafe, the Dominican Republic is extremely poor and crime is an issue in many places. Tourists can be targets for violent crime; hence virtually every resort being gated. Remember, the people you are helping are not criminals and your efforts to improve the Dominican Republic's economy and social issues will help reduce crime in addition to the illnesses associated with poverty, environmental decline, etc. Third, there is no program like fathom Impact Travel; especially those that grandparents and teenagers alike can enjoy together. One of the most difficult logistics is finding ways for multiple generations to share common experiences. 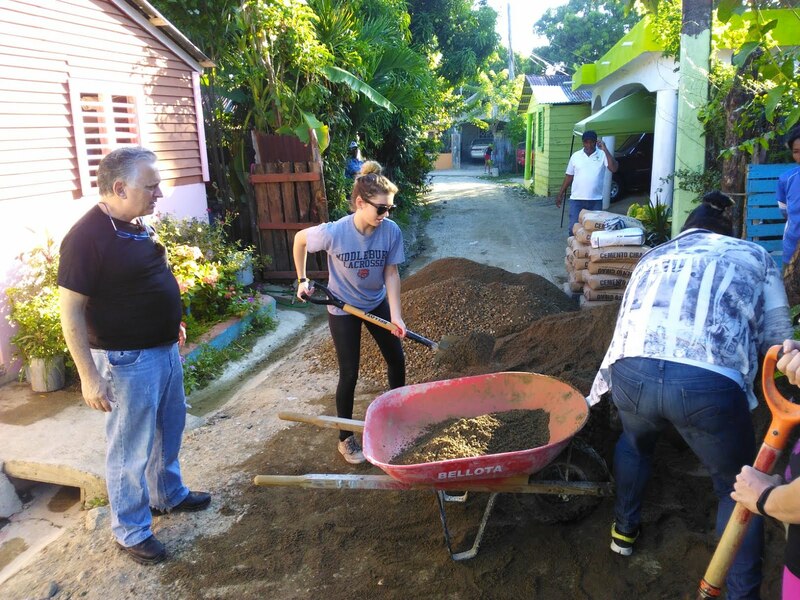 Whether it is Dad hauling tiles while his daughter sifts sawdust or Grandma is sitting under a tent with a cool drink watching her grandchildren reforest an area or Mom and son are teaching English together, fathom's program allows for shared experiences. And, of course, if the family wants to have something great to talk about over meals, there will be no shortage of topics! 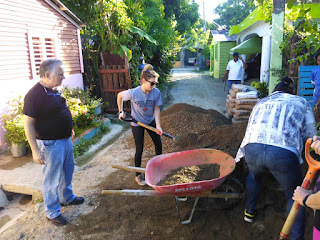 fathom Impact Travel - Voluntourism: What is it? Why do it? fathom Cruises: A Great Way to Have a Great Time Doing Really Good Stuff! Or email me at eric@goldringtravel.com.